PAC Man ROM Review for Nexus 4! [Paranoid Android] [CM10.1] [AOKP] ~ AndroidRootz.com | Source for Android Rooting, ROMS, Tricks and More! PAC Man ROM is an excellent choice to get all your favorite features from Paranoid Android, AOKP, and CyanogenMod 10.1. You no longer need to worry about choosing the right ROM between the 3. You can get all the great features from each ROM! From Paranoid Android you get PIE Control and different UIs such as phone, phablet, and tablet UIs. AOKP gives you a lot of features like recent RAM, kill all, allow all widgets on the lockscreen, different types of battery looks, and a lot more. And lastly, CyanogenMod 10.1. With CyanogenMod you get a lot of control for your homescreen like amount of pages, transition effects, grid size, etc. You also get those awesome slider shortcuts on your lockscreen too! 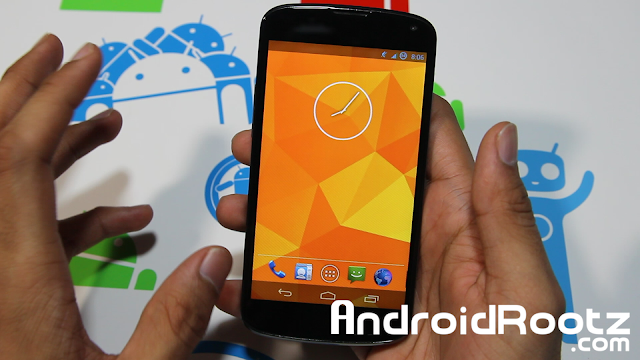 Download PAC Man ROM for Nexus 4 using the links below!